The Citroen Egoiste is an unashamedly indulgent vehicle. 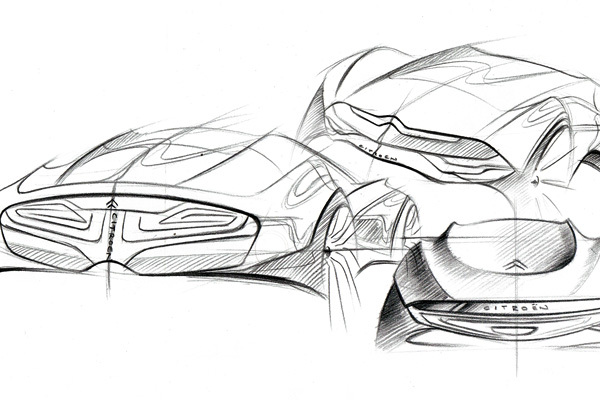 A product that aims to celebrate the potential of the electric car and propose a glamorous and exciting future for Citroen EVs. Designed to be an uncompromising statement of confidence and seduction for equally confident and alluring professionals in their early 30s, the Egoiste is the antithesis of the apologetic and humble image traditionally associated with electric cars. Intrigued? Hit the jump. 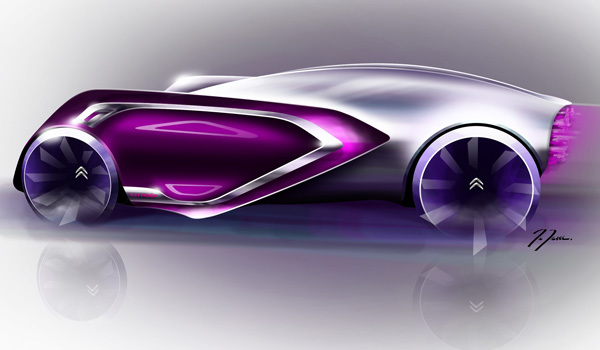 Tthe basic architecture of the vehicle is one of extremes: low and wide in the city, its stance would naturally draw attention. However, its proportions, with an ultra low, flat front and seemingly rear-set cabin with no discernable space for an engine suggest that this is no petrol-powered car. Likewise, the all glass top surface, stretching from front to rear, as well as the glass sides, reveal a full length interior, with the driver placed centrally in full view of the surrounding city. This attention seeking experience continues with the entry/exit of the vehicle: making the most of hub mounted motors and under-floor battery packs, the Egoiste utilises a jet-fighter style rear hinged canopy, that reveals the driver in their central position. After opening, the driver and passengers walk down the length of the car on a flat floor over the battery packs on what could be perceived as a fashion catwalk and step out gracefully into the city. Further creating a sense of personal indulgence and inspired by the craft and skill of Paris’s finest jewellers and fashion houses, the detailing on the Egoiste is intended to draw attention both for its intricacy and for its relationship to the electric powertrain. For example, the wheels, with a delicate floral pattern cut from them act as screens over the hub motors, simultaneously hiding the mechanics of them whilst revealing a little of their complex nature. Likewise, the vehicle purposely does not shout its branding out to the world: like a piece of haute couture, the logos are small. Indeed, the iconic double chevrons do not even appear on the vehicle exterior. 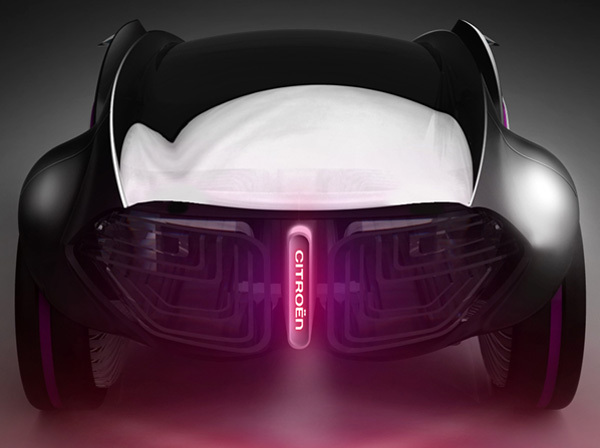 Instead, they are abstracted and projected on the ground behind the vehicle, following like a shimmering wake and only informing onlookers of the Citroen branding after the car has passed them. 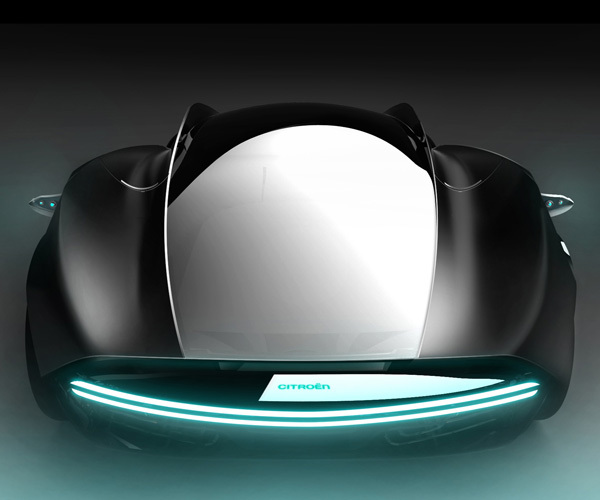 The final element of the design intended to mark the Egoiste out as an electric vehicle and draw positive attention comes in the form of the front and rear graphics: electric vehicles do not require the traditional radiator/ grill elements found on petrol cars. 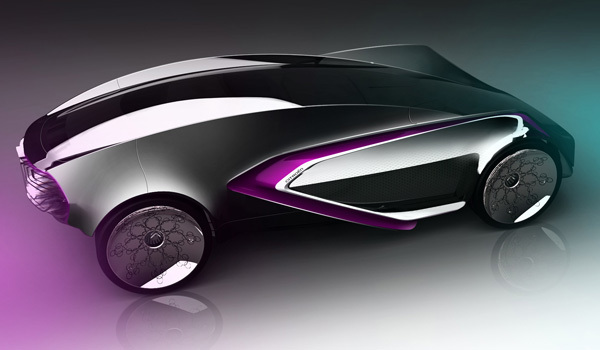 However, they do still require cooling and as such the Egoiste is fitted with glass blades, both front and rear that contain the vehicle circuitry. 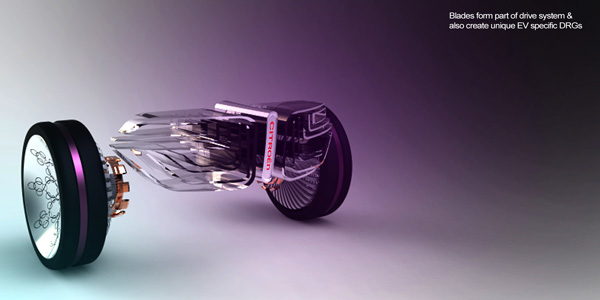 These blades, protruding from the vehicle, simultaneously direct air in towards and the hub motors as well as cool the circuitry with the air passing over them. The blades also form unique vehicle graphics which further the car’s presence within a city environment.